Cigarette smoking contributes to heart disease by choking off the heart’s supply of blood. The byproducts of smoking damage the linings of arteries and promote the buildup of blood vessel-clogging plaque. And these harmful effects extend beyond the heart’s large arteries into the network of tiny vessels that supply blood to most of the heart muscle, according to the American Heart Association. 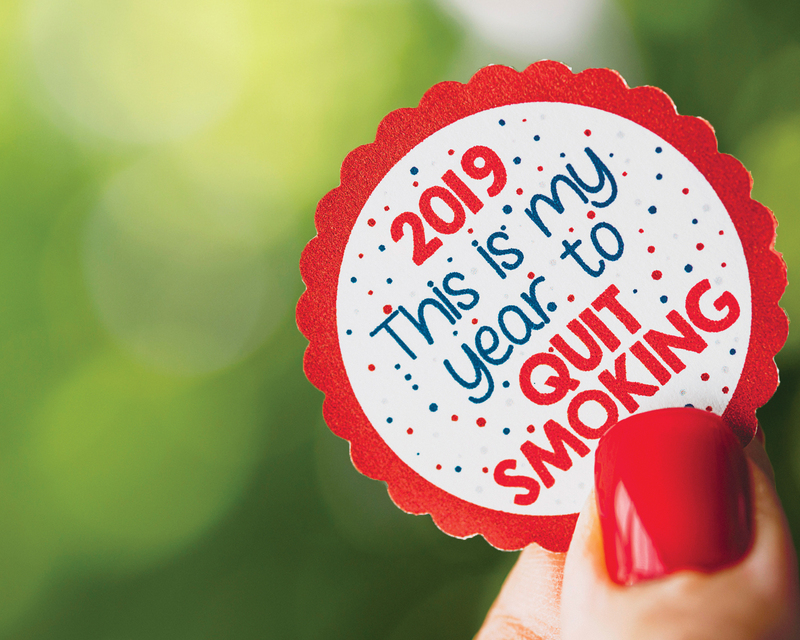 Make a lifesaving resolution for 2019 by quitting smoking. Need help? “Freedom from Smoking®” is a six-part series of smoking cessation classes offered by Methodist Medical Center’s cardiopulmonary rehab program. Participants work with an instructor to identify people, places and things that trigger their urge to light up; create a stop smoking plan that fits their individual needs; and receive support to help avoid a relapse. The American Lung Association developed Freedom from Smoking classes. The first 2019 series will meet on February 5, 12, 19, 26 and March 5, 12 from 5 – 6 p.m. in Methodist’s cardiopulmonary rehab classroom, Suite 360, Westmall Medical Park, 200 New York Ave., Oak Ridge. The $50 class fee is fully refunded upon completion of all six sessions. Learn more at mmcoakridge.com/ stopsmoking. To register, please call (865) 835- 4662. You’ll have a better chance of living a longer, healthier life. As soon as you stop smoking, your body starts to recover. Your cholesterol levels will improve, lowering your risk for heart disease. Your smile will be brighter. With every puff, nicotine and tar coat and stain your teeth. You’ll develop fewer wrinkles. Nicotine blocks the blood supply to your skin, which can cause wrinkles. Tobacco smoke dries your skin and makes it more prone to wrinkles. Food will taste better. Smoking interferes with your senses of taste and smell. Make a lifesaving resolution for 2019 by quitting smoking. Need help? Methodist offers smoking cessation classes and the next series is scheduled to start February 5. Call (865) 835-4662 to learn more.